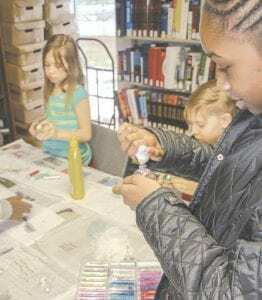 Local kids gather to decorate Christmas ornaments at Flint Township-McCarty Library Dec. 1. 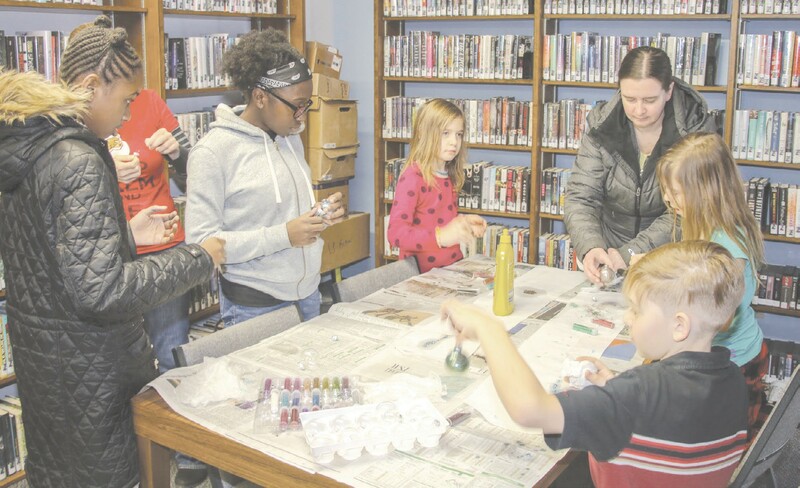 Amy Houser (not pictured), the branch librarian, chose the project of decorating with just two simple, easy ingredients – floor polish and glitter – for the best mixture of success, creativity, and cleanup for the 5-13 age group. 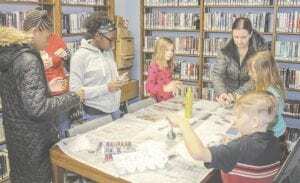 A dozen or so kids had signed up for the free decorating event, and the first wave of them was there and ready right at 1 p.m., picking out their favorite colors of glitter and dancing to swish the liquid polish around inside the bulbs.